After an exhaustive and uninterrupted search extending over many years, I have finally determined the worst K-Cup coffee. 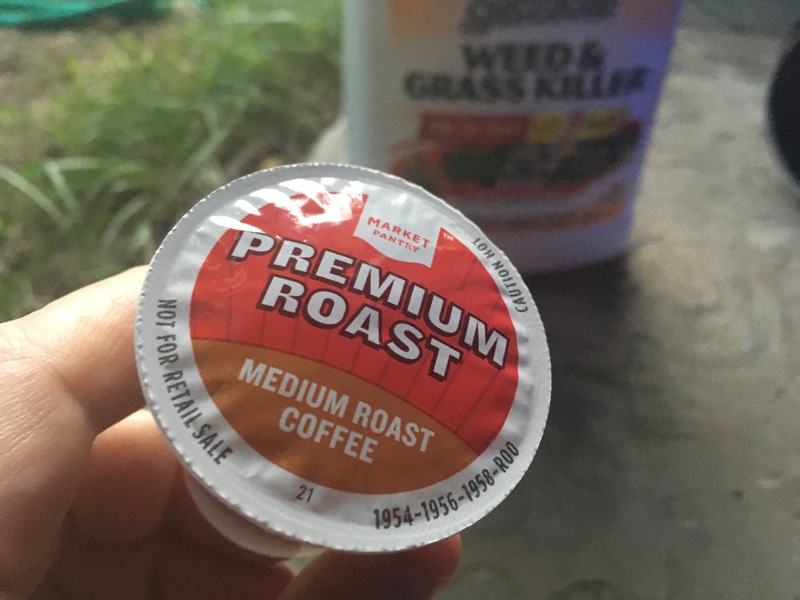 Target's Market Pantry Premium Roast ($15.98 for 48 pods) is about as cheap as Amazon's popular 30-cent K-Cup, but is far worse. It tastes nearly as good as own-brand instant coffee from British supermarkets. It's flavorless yet vile, catching in the throat like air from a house inhabited by forty cats. Imagine, if you will, old espresso grounds resteeped in sweat and sweetened with flakes of seborrheic dermatitis. You have imagined something no less unpleasant than Market Pantry Premium Roast. But no snarky turn of phrase or revolting comparison can do it justice. The more you know (or think you know) about coffee—and the more you despise the entire concept of these machines—you owe it to yourself to experience just how bad the K-Cup experience can get, a place whereof one cannot speak, an invitation to the true friend that will never betray, a silence steeped in medium-roast horror.